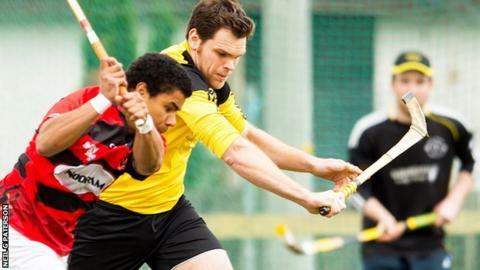 Fort William pulled off their first giant-killing act since being relegated to the lower leagues when they scored a 1-0 win over Glenurquhart in the first round of the Artemis MacAulay Cup. After a number of close encounters with Inveraray, holders Kyles ousted their South rivals 5-1 at the Winterton. It took extra time for Lovat to win 2-1 against Kinlochshiel at Balgate. And both Badenoch sides progressed - Newtonmore won 4-0 at home to Kilmallie while Kingussie won 1-0 at Lochaber. Arran MacPhee was the toast of the Fort when he broke the deadlock midway through the second half of a close match at An Aird. Roddy MacDonald got a hat-trick in Kyles' emphatic win at Inveraray with their other goals coming from David and Roberto Zavaroni while Inveraray's Garry MacPherson wrapped up the scoring from the penalty spot. Lorne MacKay opened for Lovat before Duncan Ach MacRae's equaliser for Kinlochshiel sent the game to extra time, which produced Kevin Bartlett's 103rd minute winner for Lovat. A goal in each half from both Glen MacIntosh and Fraser MacIntosh saw Newtonmore through against lower league Kilmallie. At Spean Bridge it was goalless between Lochaber and Kingussie for 82 minutes before Fraser Munro sent Kingussie into the quarter finals. Daniel Cameron got a goal on either side of one from Aidan MacIntyre to put Oban Camanachd through 3-0 at Aberdour. And there was a hat-trick for Glenorchy's Duncan Smith following Finlay Ross's opener at Taynuilt while Steven Parr got the home side's consolation in a 4-1 scoreline. It was also 4-1 for Glasgow Mid Argyll at home to Bute. Goals from Craig Anderson and Innes MacMillan straddled a double in three minutes from Angus MacIntosh before Chris MacGowan's response for Bute rounded off the scoring.